HR professionals and company owners face a lot of problems while documenting employees. 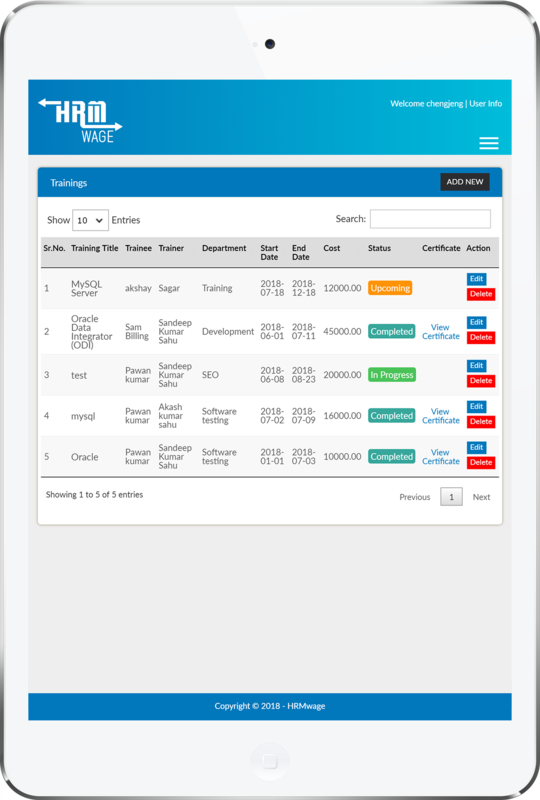 With HRM Wage, documentation becomes an easy and hassle-free task. HR professionals can easily upload the HR strategy documents on this software and make it known to all employees as what they are supposed to do or what not to do. Just use this HRM software to upload all documents related to new employees and determine which training sessions or course he/she needs to adapt to the company culture. This HRM software displays all information about employees, allow HR professionals to evaluate their performance, and compensate them accordingly. Get details about your total employees with one click. Comfortably Edit & Delete Worker’s details easily. HR professionals can easily upload all documents related to employees and maintain their records in e-form. They can also take its prints for office use, recruitment drives, salary calculation, and increment, etc. Using the database stored on this HRM software, HR professionals can easily determine the performance of employees and award the deserving remuneration to them for good works. 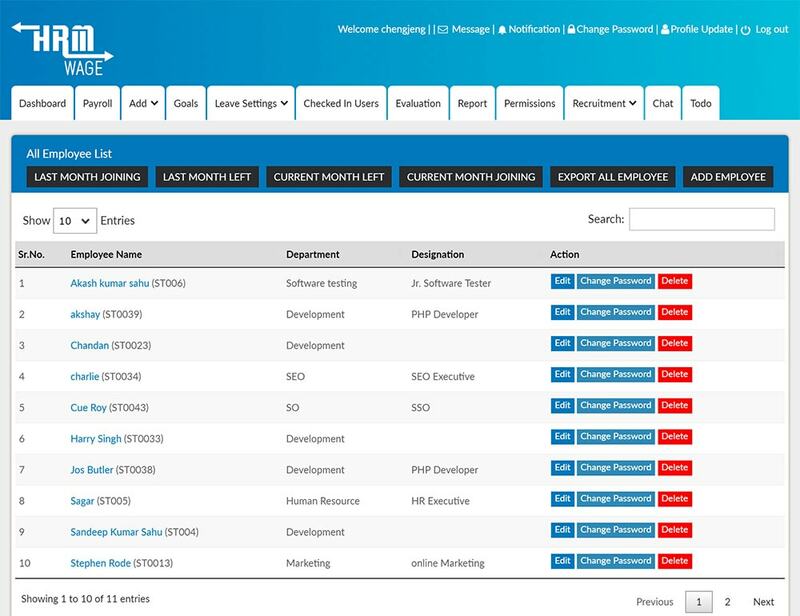 With the help of this HRM software, you can easily prepare a list of employees that need to be transferred to a new branch and perform the action easily. With easy documentation and tracking features, you can easily track the total number of employees working with your organization and manage them accordingly. AS HRM wage is equipped with several features and functionalities, it becomes easier for HR professionals to manage the training or retraining of employees. HRM Wage helps HR professionals to track the non-performing employees and control the CTC effectively. HRM Wage automatically displays the total working hour and career opportunities with the company. It allows employees to work accordingly and get enhancement as per the applicable provisions. HRM Wage allows HR professionals to design and print Company ID cards for employees by providing the necessary info within a few clicks.